Scarlett Moffatt has split from boyfriend Lee Wilkinson, labelling him a “cheating pathological liar” on Facebook. The former Gogglebox star exposed Lee as a cheat when taking to Instagram to rant to her followers. The TV personality later vented her feelings on Facebook, branding her ex-boyfriend a “lying cheat”. She wrote: “Just always seem to choose cheating pathological liars. However, Scarlett seemed confident she had dodged a bullet. “I haven’t lost out. I’ve gained more self confidence,” she wrote. Gogglebox‘s Chris Butland-Steed has announced he’s walking away from the series after five years. Chris was one of the few original stars left on the Channel 4 show, but has decided to “pursue other opportunities” after sticking with Gogglebox for an impressive 10 series. However, his ex and on-screen partner, Stephen Webb will continue to appear on the sofa alongside his mum, who has featured on the programme previously. Chris also confirmed his departure on Twitter, writing: “After 10 series, a wedding, and a helluva lot of takeaways, our lovely dogs and I have decided it’s time to say a very fond farewell to our Gogglebox family. “I’ve loved every minute of being on the show and will never forget all the amazing things it’s allowed me to do. Since my wedding, it’s felt like there should be a new start, so I’m taking the plunge to see what’s out there! “I’m really looking forward to what the future holds, especially pursuing a career in TV, as I hope to show viewers that I have many more talents. Chris then went on to thank fans for their love and support, as well as the cast and crew at Channel 4. 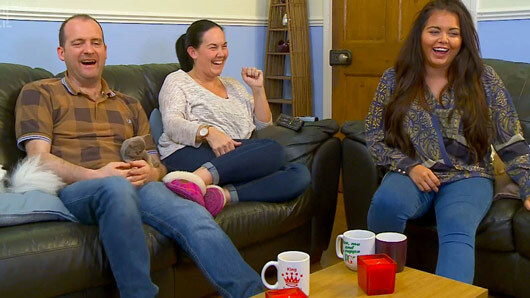 Gogglebox returns with a new series tonight at 9pm on Channel 4. Labour Leader Jeremy Corbyn will appear on a special Stand Up To Cancer edition of Gogglebox this November. The politician will be settling down on the sofa to watch a range of television shows for the Channel 4 programme on November 3. And he won’t be alone. 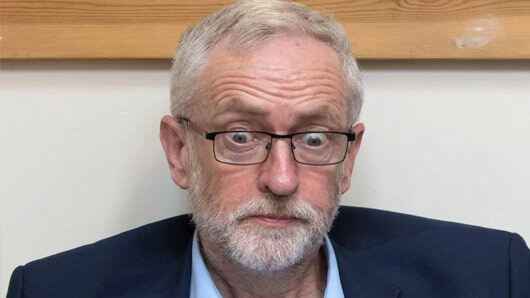 A “mystery celebrity” will also be joining Corbyn as they chat and react to the screen in front of them. It is unlikely the episode will be filmed at Corbyn’s own home, so the location of the living room remains to be seen. Stand Up To Cancer has revealed that Jeremy won’t be the only famous face to appear on the show, but he will be one of a many celebrities taking to the sofa for the evening. “This very special edition of the TV review programme will see some surprise faces join the show’s favourite families as they pass judgement on a vast array of TV goodness,” they said in a statement. The celebrity special Gogglebox airs November 3 at 9pm on Channel 4. One of Gogglebox‘s most popular personalities, Stephen Webb, has revealed how he will “never get over” the heartache of his brother’s death, which was caused by a heroin overdose 12 years ago. The 44-year-old, who appears on the show with his friend and fellow hairdresser Chris Steed, made the revelation about his brother in his new book We Need To Talk, and describes how his whole family are still struggling to come to terms with the tragic loss. In the book, which was co-written with Chris, Stephen recalls smoking cannabis with his brother as early as nine years old. Although he was able to kick the habit, his brother Paul’s drug use escalated dramatically over the years until he died at the young age of 32. Stephen wrote: “He died twelve years ago from a heroin overdose and it’s something my family will never get over. When Paul died, Stephen and his devastated family were forced to identify the body after learning of his death from his sister; something Stephen admits he will never fully recover from. “I called her and she said to me, ‘Paul’s dead’. I was so shocked I fell to the floor. He was only 32. Gogglebox continues Friday on Channel 4 at 9pm. 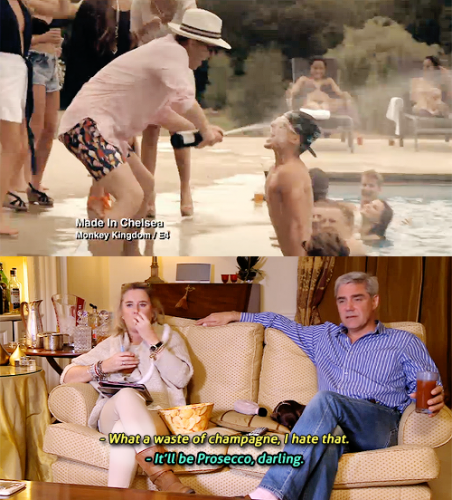 It’s been a long two months since the last series of our go-to Friday night viewing: Gogglebox. Finally returning to our screens tonight is the seventh series of the hit Channel 4 show. If you’re not familiar with the show’s concept (as if – who isn’t watching this? ), it depicts ordinary families from across the UK sitting at home and watching the same TV we watch. Just imagine your typical takeaway night in – shouting at the TV during every game show – and add a few cameras and a sound boom. The outcome is outstanding. Somehow Channel 4 managed to luck out with these “ordinary” families and they’ve ended up as secondary national treasures spouting hilarious, spontaneous reviews of the biggest television shows. The entire programme could be classed as a “best bits” – really where are the bad bits? However, we’ve gathered together just a handful of some great moments from our favourite couch potato families. 1. When Reverend Kate said what we were all thinking about the new Strictly presenting line up. 2. When the week’s news provided the hilarious content and we just got to laugh along with everyone. 3. 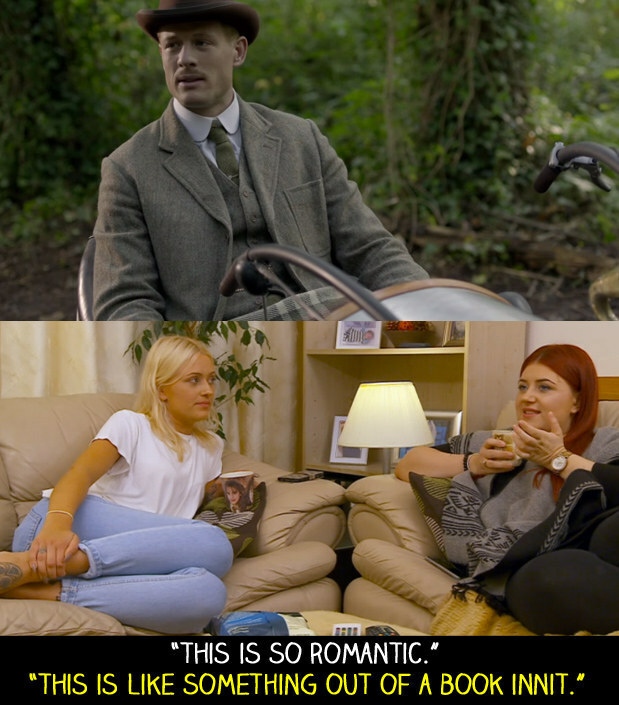 When Ellie and Izzie were watching Lady Chatterley’s Lover and proceeded to demonstrate why we love them so much. For clarification, it’s because of all the stupid stuff they say. 4. When Josh Tapper tried and failed to prove his innocence. 5. When resident cheeky girl Carolyne Michael showed off her naughty side. 6. When Leon chatting up June gave us #ultimate #relationship #goals. 7. When Any time Steph and Dom have a few drinks. 8. When Stephen and Chris attempted to say the word “physicists”. 9. When Kate and Graham’s dog got so bored of the Reverend blabbering on, he decided to shake things up a bit. 10. When George Gilbey shut down all Doctor Who fans. (N.B. George fans will be pleased to know the Gilbey family are back for the seventh series). 11. When the posh couple were posh. 12. When Sandy and Sandra got a bit of a shock. 13. When the celebs got involved and we found out they’re just like us. 14. When we found out Steph and Dom were closet Directioners. 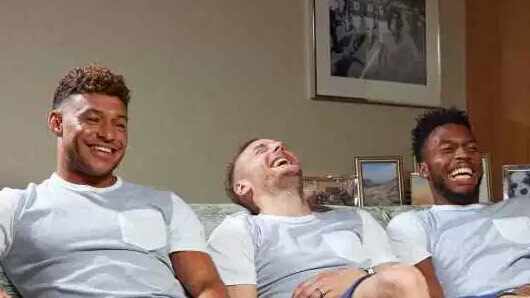 Gogglebox returns tonight on Channel 4 at 9pm.